021.Jing Zhou – JavaMuseum 2010 – Celebrate! Born in Chongqing, China, Jing Zhou is a prolific interdisciplinary artist, versatile graphic designer, and educator. Her award winning artwork has been widely shown and collected nationwide and abroad. 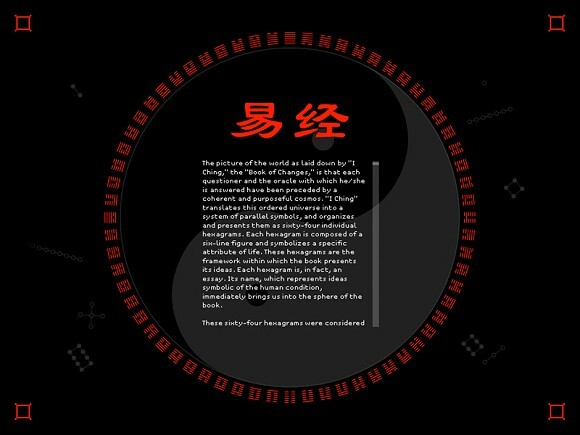 The “Book of Changes” translates this ordered universe into a system of parallel symbols, sixty-four hexagrams, which express the various human situations. From the Chinese perspective, all phenomenal existence is conditioned by two polarities in contrast—Ying and Yang, which represent the dynamic of change, an organic order corresponding to human nature. To represent this ancient Chinese cosmic conception in a digital interactive art form is rejuvenating the old culture, as well as transforming and enriching the future one. While growing up in China I was told that “I Ching,” the “Book of Changes,” was not a thing to be undertaken lightly. By an unwritten law only those advanced in years regarded themselves as ready to learn from it. Yet creating this interactive “Book of Changes” is not only a fulfillment of my wonder, but also a challenge: to reveal this 4,000 year old profound mystery. 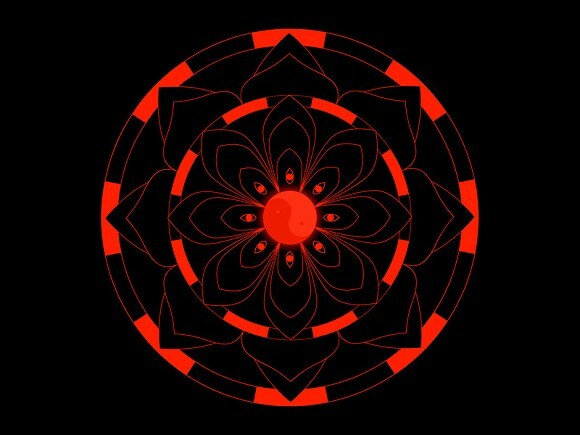 In addition to exploring this ancient cosmic conception through a global cultural context, a fast speed social environment, and an industrialized life style, to represent it in a digital media art form would be an innovative experience for rejuvenating the old culture, as well as transforming and enriching the future one. To my understanding, the “Book of Changes” translates this ordered universe into a system of parallel symbols, sixty-four hexagrams, which express the various human situations. From the Chinese perspective, all phenomenal existence is conditioned by two polarities in contrast—Ying and Yang, which in turn represent two primary cosmic principles that correspond to the dynamic of change. Everything is in a state of transformation within time. Change fills the category of time with the content of natural events. Ultimately, change becomes an organic order corresponding to human nature; change is natural movement, development that can only reverse itself by going against nature. As a Chinese artist living in the Western world, I am aware of art and philosophy from both cultures. Creating artwork required me to realize my true nature, which is a process of expressing via “being” human. I want my viewers to enjoy this ancient Chinese cosmic conception by experiencing its new digital “face.” I hope that they will look at change, a universal principle, through magical windows into a deep, secondary space, enriched by my cultural and spiritual experience.